Looking for a USED A7? 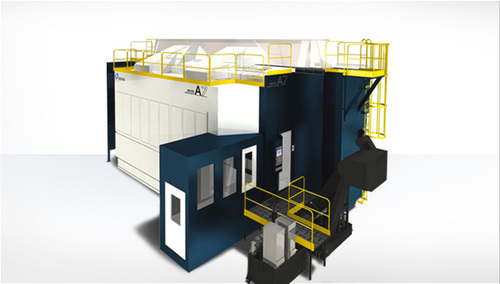 The A7 5-axis horizontal machining center is built specifically for high-efficiency machining of large, complex aluminum monolithic aerospace parts. Its design is based on the widely successful MAG-series machines that established Makino as a leader in aerospace machining technologies. The A7 incorporates Makino’s latest machining features and technologies, including Volumetric Accuracy Compensation and a high-powered, high-torque spindle. The result is a fast, highly accurate, highly predictable, 5-axis aluminum machining center, perfectly suited for aerospace structural parts up to seven meters. The A7 can be equipped with an automatic pallet-changer system for continuous operations, eliminating costly downtime for part changeovers. Looking to Purchase a New MAKINO A7?